The Montessori Method was developed by Dr Maria Montessori (1870-1952). It is centred upon the belief that education should focus on helping children achieve their potential while building social skills, self-esteem and an understanding of the world around them. Research studies have shown that the Montessori Method works thanks to the carefully prepared environment which supports learning around six core areas of learning: mathematical, language, creative, cultural, sensorial and practical life. Maria Montessori was one of Italy's first female doctors. She spent many years observing and working with children distilling her in-depth research which focused on how children learn into the internationally renowned Montessori Method. *Parents told us why they chose a Montessori school: Respects the rhythm of the child, builds confidence, creativity, sociability, for the Montessori pedagogy, respecting each child individuality and the differences of each and every child. The Montessori philosophy recognises the immense capacity of children to absorb information while giving them autonomy in their learning. The approach encourages every child to enjoy the process of learning at their own pace, but still gives freedom for high achievers to progress at their own pace, without being held back. Montessori places great emphasis on social values, culture and respect for others. 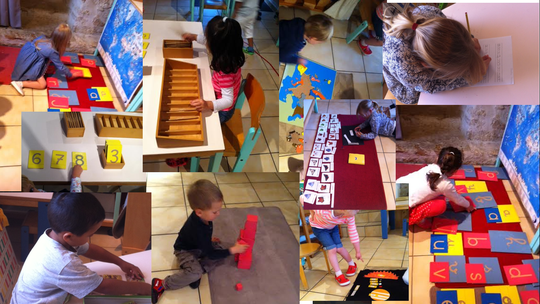 Cooperation and collaboration is key both to a Montessori education and also for the challenges of the modern world. We have found that at our school, the Montessori environment truly prepares each child for a lifetime of learning and experience. 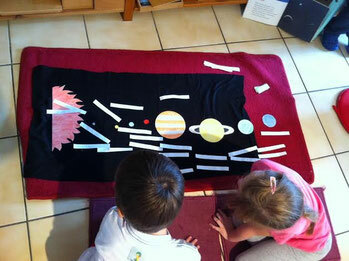 Can the Montessori Method Start to Reform the French Education System? Céline Alvarez, formée en linguistique, décide de rentrer dans le système éducatif national afin de faire bouger les lignes de l'intérieur. Elle passe le concours de professeur des écoles en 2009 et débute en 2011 une expérimentation pionnière au sein de l'Education Nationale. L'objectif ? 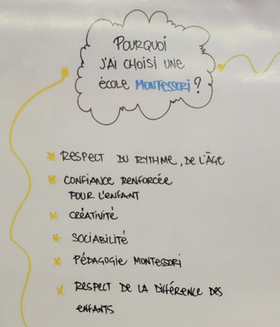 Proposer un nouvel environnement pour l'école maternelle, scientifiquement fondé et validé, permettant de solliciter de façon optimale les mécanismes d'apprentissages et d'épanouissement de l'être humain. Pour cela, elle reprend les travaux du Dr Montessori, qu'elle enrichit et adapte à la lumière des sciences cognitives et de la linguistique.